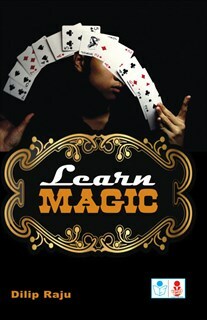 LEARN the secrets of the world of Magic and illusion to baffle and astound your friends and acquaintances. I found the price of other magic books very costly. Thanks to the author for keeping the price very low. Good gift to all the kids. my kid learnt few tricks with the help of this book. It is very easy to learn. He read himself and understood. Thanks. great book for kids especially small magicians. Need more such books with advanced magic for me. book is great. Low price. Easy to learn. Good book. Nice picutres. the language of the book is very good. It is just 50/- has lot of tricks. I was able to teach my kids very easily. language is very simple. Kids can learn themselves without help of anybody else.